Tanaka Precious Metals Group is quite unique globally as a precious metal manufacturer dealing with most precious metal materials used in semiconductors. Its history in that regard began in 1964 when it became the first Japanese producer of Au (gold) wires used for mounting semiconductor chips. Since then it has contributed to the progress of semiconductor technology throughout the world. We develop precious metal CVD/ALD precursors with a focus on ruthenium, and supply high purity precursors suited to the required purposes. Furthermore, we can recycle unreacted precursors without returning them to their original metals, reducing material costs including costs associated with precious metal bullion and precursor fabrication (patented process). Using our melting and sintering technologies, we supply target materials in various shapes and dimensions. In addition to used targets, we also recycle precious metal from equipment and jigs. We provide plating with properties according to the application and low-cost processes with high productivity. We also supply various types of wafer plating equipment for needs ranging from mass production to experimental and small-lot production, focusing on matching with chemical processes. We provide probe pins which utilize the stable environmental resistance and electrical properties of platinum wiring. We are the largest supplier of bonding wire worldwide. 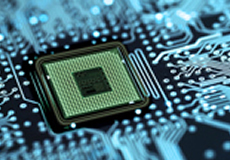 With a lineup including gold, copper, silver and aluminum wires, we supply reliable products at the forefront of the constantly evolving semiconductor technology. We offer a wide range of precious metal pastes, powders and conductive adhesives used in circuits and semiconductor die bonding. Also, our fine-tuned technologies enable us to deliver optimum quality in precision circuits. We provide an extensive range of products for connecting and hermetic sealing of precision parts. Recycling of precious metal is effective at all stages and scrap containing precious metal is considered to be a valuable asset. This kind of scrap can be recycled without being influenced by fluctuations in the precious metals market or differences (spread) between selling and buying prices. Recycling also contributes significantly to reducing costs. Case Study:One Stop Service providing a centralized location for information sharing, enabling earlier market launch and a rapid improvement to speed of development.